This is our third Christmas in Malta. The first year I hated it. It wasn't Christmas. There was no snow, no frosty windshields, no mittens and scarves or toasty fireplaces. No real Christmas tree. No eggnog and no candy cane ice-cream. No Christmas parades or Christmas specials on TV. The Christmas lights strung up between the chalky limestone houses looked wrong. The nativity scenes set up in the roundabouts looked sad and sun bleached. We bought a cheap plastic tree and decorations at the 1-Euro store. It looked silly compared to the Christmas trees from all my childhood Christmases - fat, furry things covered in ribbon and popcorn and beautiful white lights and decades of decorations. We hardly knew anyone in Malta and spent the holidays alone, just the two of us and the pups, trying to recreate our moms' Christmas dinners. It did not feel like Christmas. We vowed never to miss a Christmas in Canada again. The second year I knew what was coming. I anticipated the arrival of the lights strung between the limestone houses. It wasn't my Christmas but it was someone's Christmas. And that was sort of OK.
From my classmates in my Masters program I learned about Maltese Christmas traditions - the things Wikipedia doesn't tell you. That everyone goes pub crawling on Christmas Eve. That the 'panto' (pantomime) is a Christmas thing here: A musical comedy production that usually features a good dose of slapstick comedy, political jokes, and cross-dressing. And then we went home to Canada for Christmas! And returned to Malta wallets much lighter and completely exhausted. In an effort to have and eat our cake we opened presents and ate turkey dinner with Mike's family and mine. That's two Christmases, a lot of driving, little sleep, and a few pounds gained. Toss in a bout of gastroenteritis that Santa brought everyone and it was a less than merry Christmas. We vowed not to go to Canada for Christmas this year. 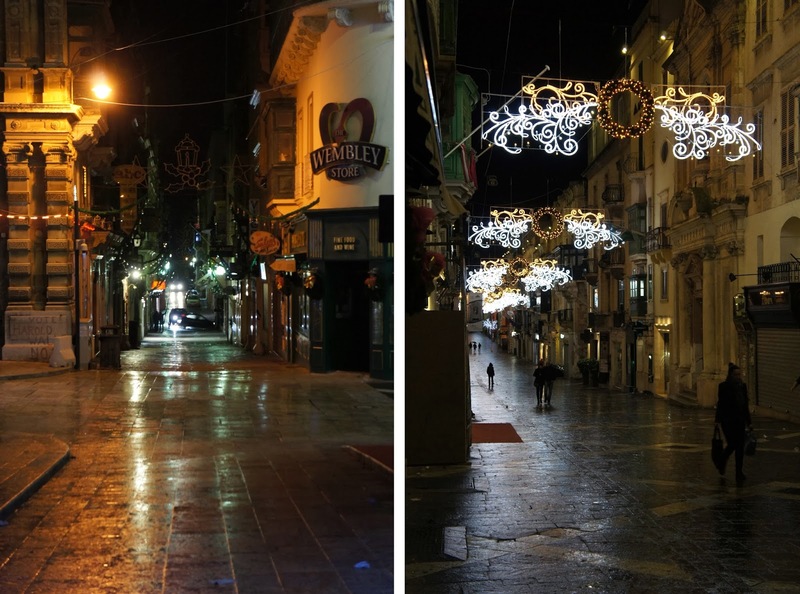 This Christmas I looked forward to the lights and the sun bleached decorations in Malta. I knew that around the middle of November the lights would go up, and on December 1st they would turn on. 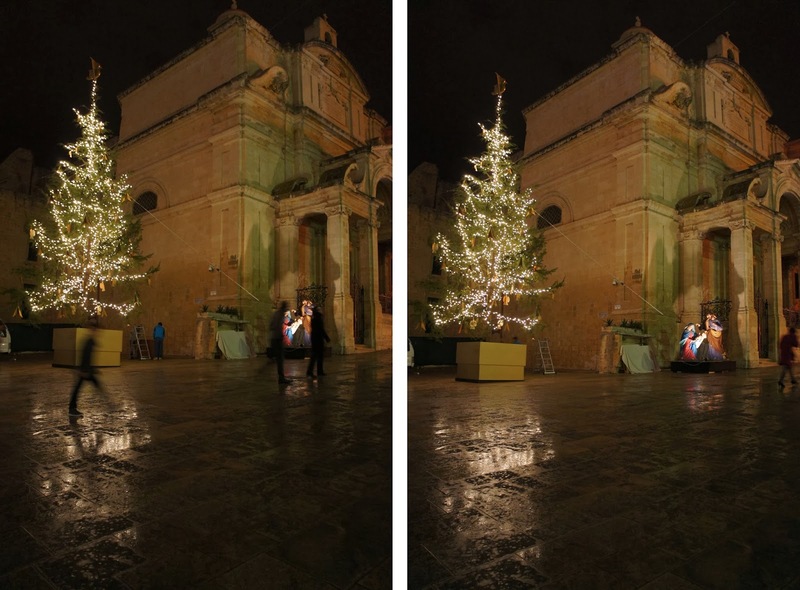 I knew that the silly blue Christmas trees in Valletta went up, then, too, accompanied by Christmas carols and Top 40 music blasting across speakers hardwired throughout the city. It's the only time of year those speakers are constantly used. 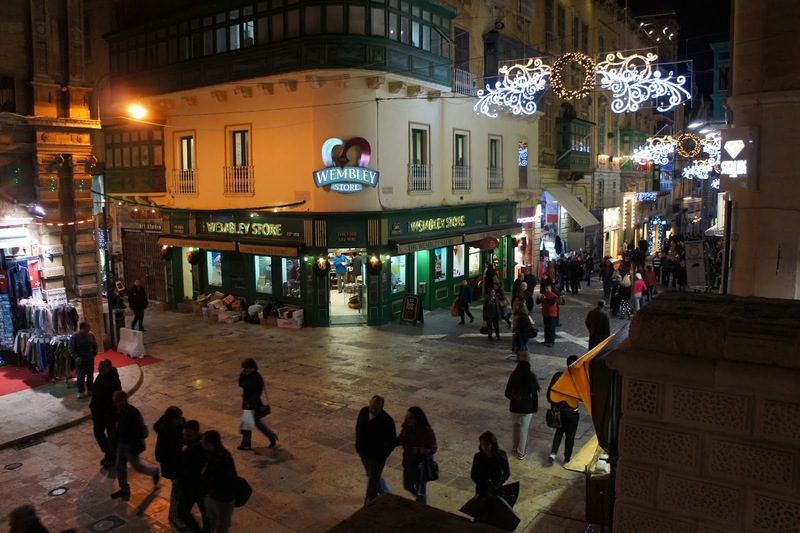 I knew that Sliema would be full to the brim with Christmas shoppers, parking impossible to find. Most Maltese making a day trip of coming into the city to have lunch and shop. I joined them, knowing the Plaza mall would be full of pink decorations, the Point mall's decorations would be blue, and Marks and Spencers would have the best holiday candies. 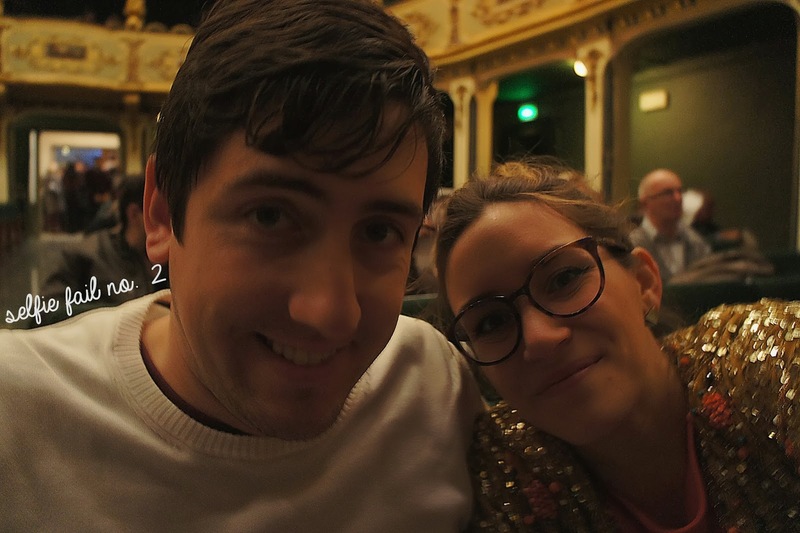 I stocked up on mulled wine spices and I booked our pantomime tickets to Little Red Riding Hood at Teatru Manoel (which was beyond fabulous). I decorated our plastic tree with our 1-Euro decorations on American Thanksgiving. I've taken to watching the Food Network's constant stream of holiday themed cooking shows as a replacement for North American Christmas specials. I bought a little white poinsettia from one of the flower trucks on the side of the road. We ordered a turkey. We lit our fireplace scented candles. This year it all feels right. I'm starting to think what makes Christmas Christmas isn't the traditions themselves but being able to anticipate them coming. Christmas in Malta is warm. With temperatures hovering between 15 and 20 degrees Celsius, we wear sweaters and light coats here during the holidays, not parkas and boots. Those with heartier constitutions than I could, theoretically, go to the beach on Christmas Day. 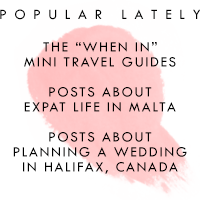 The Maltese spend Christmas with their large, extended families, so most of the large hotels and resorts here host big, fancy Christmas brunch buffets, heavily marketed to expats, British retirees, Scandinavian vacationers, and anyone else without a community to celebrate with. During the holidays grocers' shelves fill up with panettone: tasteless, stale, dry cakes akin to a giant pasty you would buy in a vending machine. They're an Italian tradition imported to Malta. You can guess how much I like them. Much tastier, supermarkets fill up with wonderful British Christmas chocolates and mulled wine spices and Christmas puddings, too. 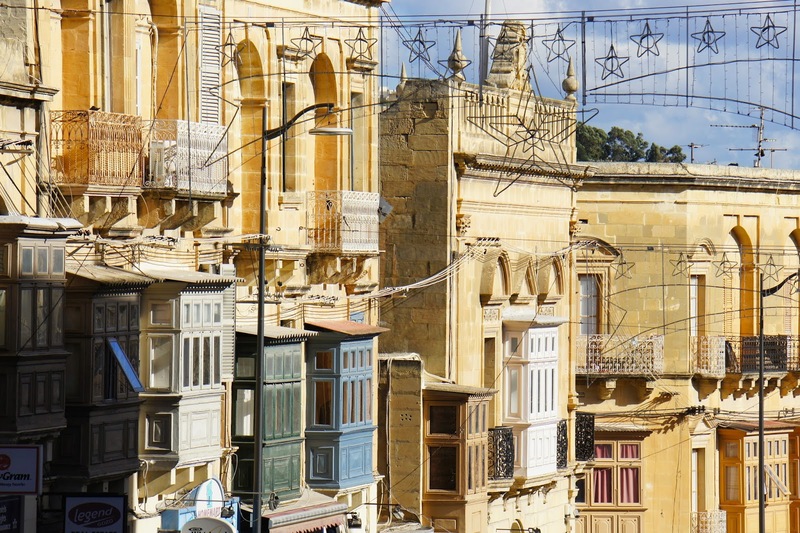 Christmas in Malta is about food and gifts, to be sure, but it is also about philanthropy. Around Christmas there are a lot of charity fundraisers that go on in Malta: Winter swims and runs and parties to benefit L-Istrina (a children's charity). 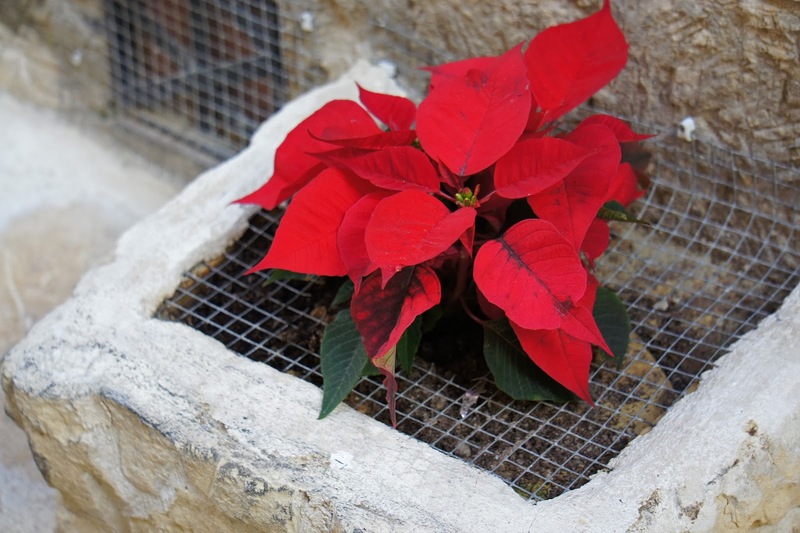 Each person in Malta gave on average €8 to L-Istrina alone last Christmas. And, perhaps more than philanthropy, Christmas in Malta is about booze. If you're under 50, or otherwise so-inclined, you hop from bar to bar on Christmas Eve, attending Christmas Mass slightly tipsy, and continuing the party late into the night. Presumably, on Christmas morning much of the country wakes up with a hangover, cured by a Christmas turkey or ham or goose, a big mug of mulled wine, and a honey ring. 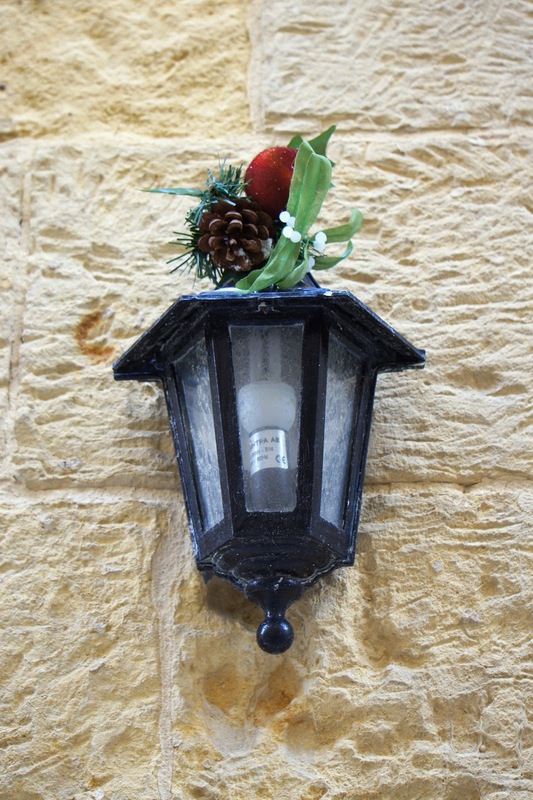 You experience Christmas in Malta with all of your senses. 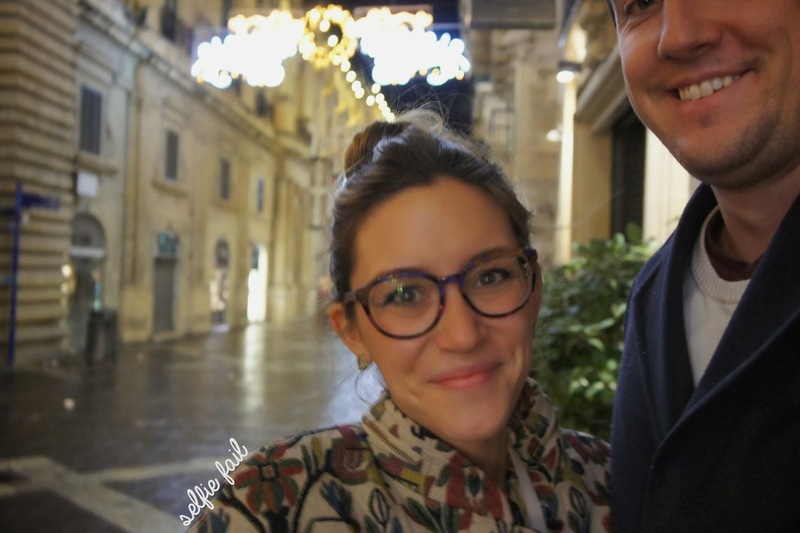 On Christmas Eve the churches in Malta light up their domes and facades with strings of 60-watt bulbs and spot lights. It's one of the only nights of the year that Valletta's large domed church is lit up, too. Around Christmas church bells rings out Christmas carols; a nice change from the usual cacophony of tuneless chiming. 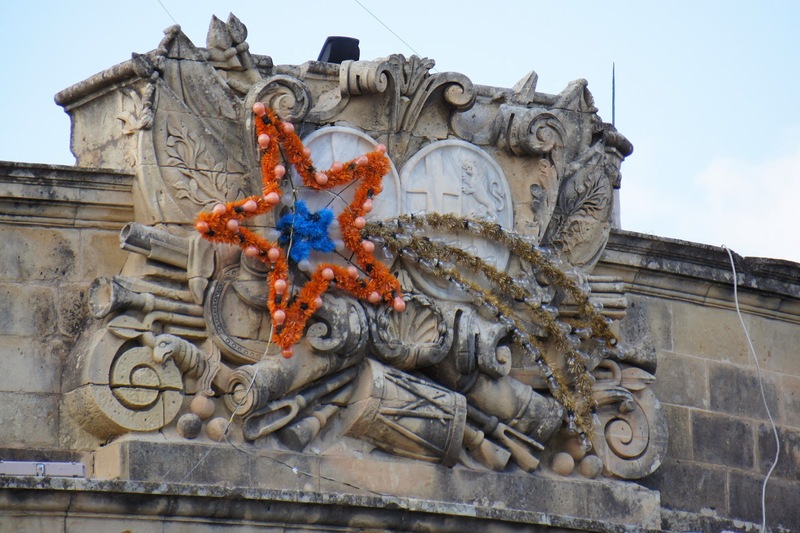 Lit-up structures in the shapes of flying stars and wreaths are placed at regular intervals along Malta's narrow streets, creating canopies that blink so furiously overhead they make you dizzy. To the uninitiated Christmas in Malta its a strange mix of palm trees and fairy lights, Christmas carols played alongside the latest electro-pop hit, religion and belligerence. But, three years later, it all feels like Christmas to me now. Post-script: This Christmas Santa brought us the flu, again. It turns out that it finds us no matter what continent we spend the holidays on. Oh yuck - I hope you both feel better soon! History shows that we tend to go home every other year - like you said, it's exhausting. Joe's family & my family are separated by a 13 hour drive :| We both mentioned today that Christmas here was pretty good - it was quiet but relaxing and we had a lovely day, just the two of us. 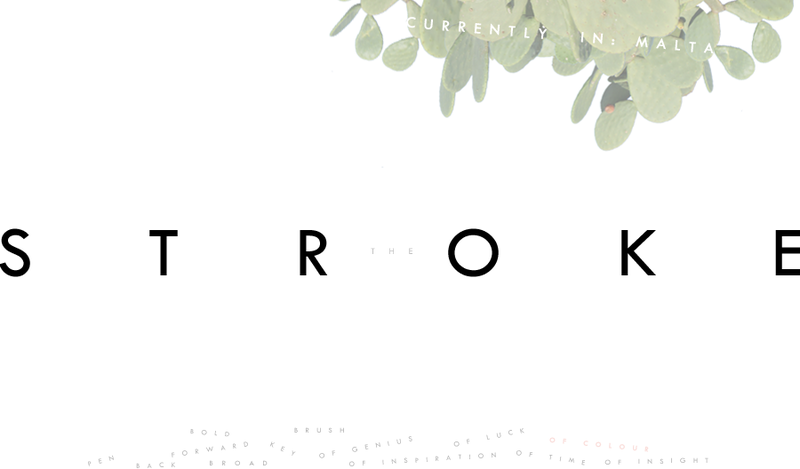 "its a strange mix of palm trees and fairy lights, Christmas carols played alongside the latest electro-pop hit, religion and belligerence"
Thank YOU for reading! Best wishes for the holiday season from Malta! 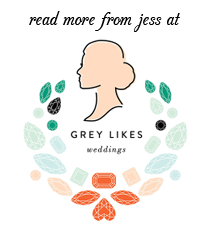 I loved this post--great observations about the good and the different! I loathe panettone but still give it a try every year just to see what the fuss is about. This year, however, while panettone-bashing, my Italian-American friend told me that it makes delicious French toast. Lots of confused national traditions wrapped up in that recipe, but perhaps worth a try? 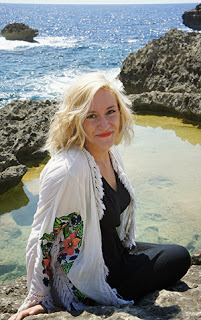 We hope to retire to Malta one day (just a few more years of travelling to go!) 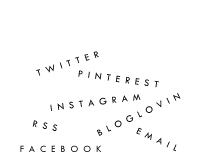 sounds like fun there at Xmas (we tend to visit in summer) Enjoying your blog. Oh and yes i totally agree about pannetone - yuk!!! I'm glad I'm not alone on the panettone hating train. As another commenter recommended, it may make great French toast though!